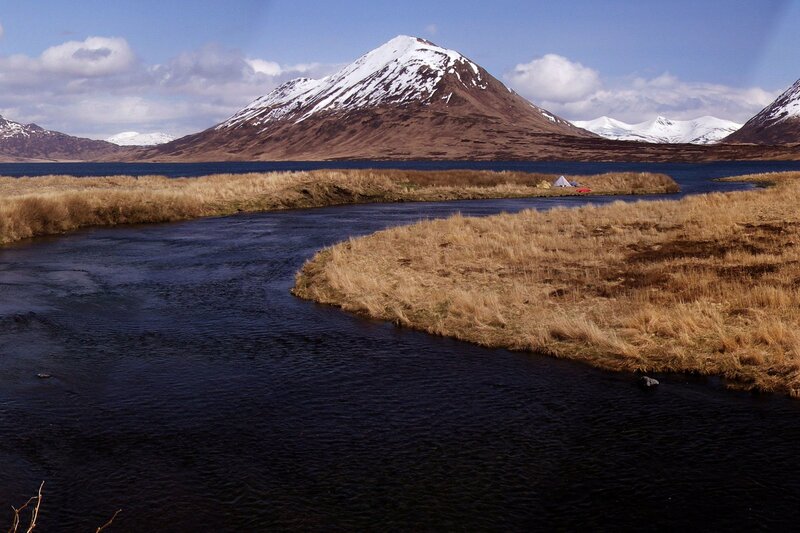 Situated in Alitak Bay, Akhiok is the most remote village on Kodiak island. The shore is lined by narrow, rocky beaches. During summer the grassy hills and flatlands that surround the town turn emerald green and burst with colorful wildflowers. Today it enjoys a strong sockeye and pink salmon run in its rivers and streams. The community is also rich in sea mammals and birds and the original village site on the Aliulik Peninsula has a high brown bear density. 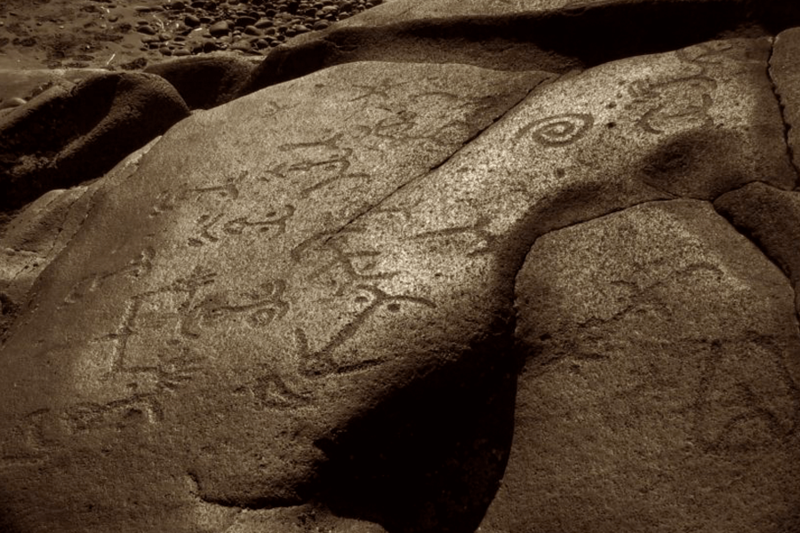 Ancient Sugpiat petroglyphs are preserved nearby. Akhiok enjoys a strong Orthodox faith-based community where the subsistence lifestyle is the norm for the majority of residents. The community is fortunate to have 22 Sugpiat dancers ranging in age from two years to adult; this group performs for visitors and across the state of Alaska. Akhiok can only be reached by boat or plane. One of the benefits of the Alaska Native Claims Settlement Act (ANCSA) of 1971 was to provide Alaska Native people with the opportunity to fully utilize and protect our traditional lands. Since our inception, Akhiok-Kaguyak, Inc. (AKI) has sought various ways to protect our lands and provide our shareholders with access to traditional subsistence resources. AKI manages and protects our lands, providing opportunities for shareholders and others to utilize our lands responsibly. We regulate land use through a comprehensive lands monitoring and protection (LaMP) program. All non-shareholders are required to obtain a Land Use Permit prior to accessing AKI lands. The climate is dominated by a strong marine influence. There is little or no freezing weather, moderate precipitation, and frequent cloud cover and fog. Severe storms are common from December through February. Annual precipitation is 35 inches. Temperatures remain within a narrow range, from 25 to 54 degrees fahrenheit. Akhiok-Kaguyak Inc., Native Corporation implemented a Land Use Permit System to regulate the use of our most valuable resource. AKI’s lands are open to entry by permit only. AKI's land patrol officers focused on protecting our lands, and are responsible for enforcing the land use policies while working in cooperation with government authorities. While the maps on this site are a valuable tool for exploring AKI Lands, there is no substitute for common sense, outdoor skills, and preparedness. When venturing onto AKI lands, it is always prudent to have a Plan B in mind. It is necessary to acquire a satellite phone as cellular communications are non-existent in this region of Kodiak Island. As a reminder, AKI lands are closed off to non-commercial, campfires and camping. Access to our lands requires a Land Use Permit issued by Akhiok-Kaguyak, Inc. Take a GPS, compass and the necessary paper maps to facilitate proper land navigation on and off AKI lands. Make sure you have the knowledge, skills, and equipment to safely navigate the terrain, and always leave a trip plan with friends or family. Contact the AKI Corporate office for information on obtaining Land User Permits.